The sun sets over southern Delaware’s inland bays. The public is welcome to suggest actions for the Delaware Center for Inland Bays (CIB) to pursue in improving the local bays, as the CIB is currently updating its Comprehensive Conservation & Management Plan (CCMP), which is a roadmap for the CIB and their partners to improve the bays and surrounding watershed. But the to-do list is long, Schmidt explained at a public forum July 23 in Millsboro. “Our two main issues that the bays face is nutrient pollution and habitat loss. … The watershed has been developing at a very rapid pace, and it’s driven by population growth. The population has doubled between 1990 and 2010,” Schmidt said. “We used to have a lot of forest and a lot of farmland, and a lot of that’s changing rapidly to developed landscape,” she continued. “What that means, ultimately, is we have more roads, more roofs, parking lots… and so now impervious surfaces now cover more than 10 percent of our watershed,” which is a tipping point in ecologically sensitive areas, she said. Delaware’s inland bays (the Little Assawoman, Indian River and Rehoboth bays) only average about 3 to 8 feet in depth, which makes nutrient-loading a challenge in the 32 square miles of water. Some topics in the plan include living with a changing climate; clean waters; healthy agricultural landscapes; developed landscapes; ecosystems and habitat restoration; and outreach/education. Schmidt emphasized the importance of working with stakeholders around the entire 320-square-mile watershed, such as agriculture. “Agriculture is, in my opinion, something that it’s been around in Sussex County for a long time. It’s part of our heritage … and it’s important for a lot of people for their income,” so the CIB would support best management practices, such as buffers and cover crops, Schmidt said. Goals range from flood research and natural shorelines to wastewater reductions and clean energy. Some attending the July 23 forum emphasized the need for action. Others emphasized the need for better public education and for partnerships with the many private waterfront communities. Some encouraged the CIB to invest in innovative technology. They also asked questions of CIB staff — regarding well water, shellfish aquaculture, permit reviews, projects in their own neighborhoods and funding for programs. The original CCMP was written in 1995, and it was last updated in 2012. Now, the goal is to write addendums every five years. This summer, after collecting public comments, the CIB will present a draft to their many partners, including Sussex County government, state agencies and the University of Delaware. They will then negotiate with the agencies to garner support for and commitment to the goals. The 2018 addendum will be finalized this winter. Although the CCMP always informs the CIB’s yearly goals, Schmidt will also lead a new Implementation Team to help ensure a plan, progress and funding. “We really have accomplished a lot from our 2012 addendum. … In our updated addendum, we will have a good visual of what was accomplished, and also what wasn’t, or what was ongoing,” Schmidt said. Public comments are encouraged by the end of August. Contact Michelle Schmidt at mschmidt@inlandbays.org or (302) 226-8105, ext. 107. 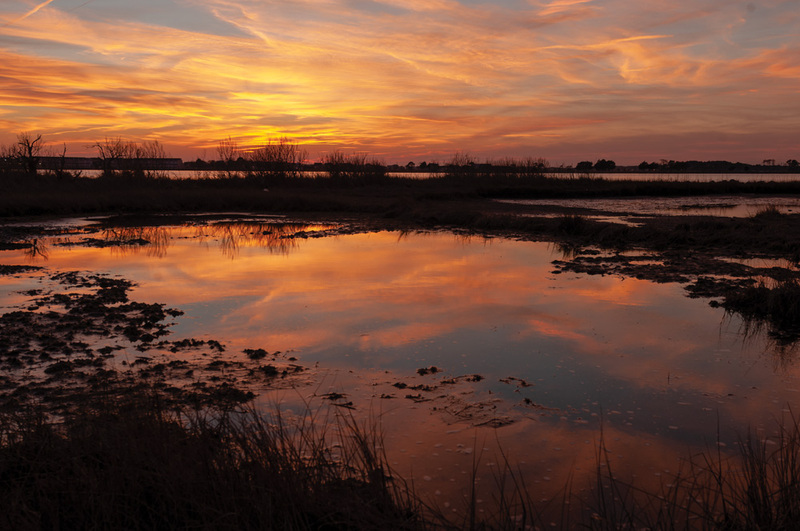 The CIB is a non-profit National Estuary Program established in 1994 that works to preserve, protect and restore Delaware’s Inland Bays and the watershed around them.